More than 70 community members greeted Prime Minister Tony Abbott at the Gladstone Bowls Club on Monday. Politics TWO women from Gladstone Women's Health Centre snapped a selfie with Prime Minister Tony Abbott on Monday, and were keen to put women's issues in the spotlight. News A CROWD of protesters carrying signs saying 'Stop the goats' welcomed Tony Abbott to Gladstone yesterday. 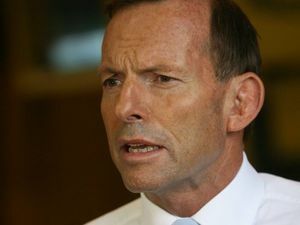 Politics PRIME Minister Tony Abbott will be in Gladstone today to hear the local community's feedback on the federal budget.